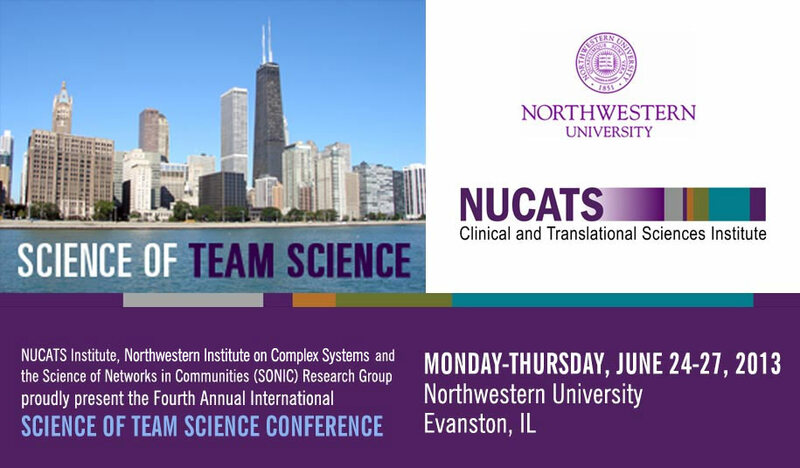 The Fourth Annual International Science of Team Science (SciTS) Conference will be held June 24-27, 2013 in Evanston, IL at Northwestern University on the shores of Lake Michigan. 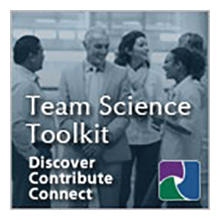 The SciTS Conference is designed to bridge the science and praxis of scientific collaboration. The SciTS conference planning committee is pleased to invite a new and innovative form of Rapid Communication Poster abstract submissions for review. Accepted abstracts will appear during the Research Poster Session on the evening of June 24. The Rapid Communication Poster submission allows authors the opportunity to present late-breaking and/or newly emerging findings or approaches in the field of team science that may have emerged after the deadline for submission of research abstracts. The 90-minute special session on Rapid Communication Poster Presentations will provide late-breaking findings in poster format during the regularly scheduled Research Poster Session. This joint session provides an interactive forum for authors to discuss their research. Posters should be no larger than 4 ft wide x 3 ft high. The Research Poster Session is Monday, June 24, 5:00-6:30 PM, and will run concurrent with a reception. Poster boards and push pins will be available, and posters should be attached to the boards for display. The following information must be included in the abstract: Presentation title; Author(s) name, degree, and institutional affiliation; SciTS Topic; Keywords; and Narrative text, which may also include tables and/or figures. Refer to the template at last page of the submission guidelines. Presenters who are unable to attend should arrange for another qualified individual to present the poster. If changes to the presentation are necessary, please notify the Conference Manager, Latonia Trimuel at [email protected] or 847-467-0207. Acceptance notifications will be made no later than Friday, May 24, 2013.